After she has learned to sit up, baby enjoys dropping the balls through the large opening (in the elephants’s body) into the base. 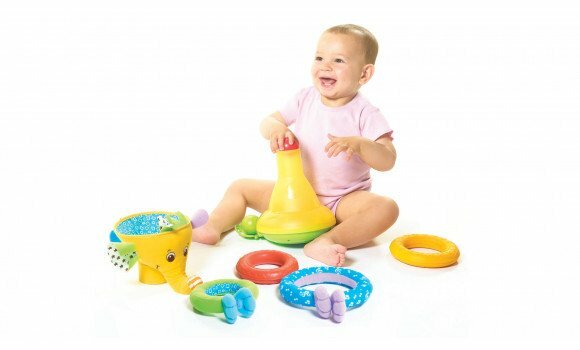 She drops the balls and watches them fall, amused at their reappearance in the small tray, which she will just love closing and opening time and again. 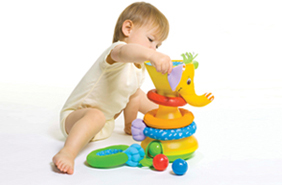 After baby is 12 months, he is ready for the more advanced narrow ball game option. 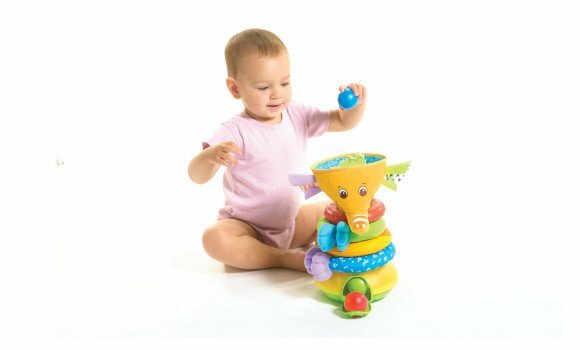 Remove the elephants head and let baby develop his fine motor skills by dropping the balls through the narrow opening and enjoying the fun musical feedback. 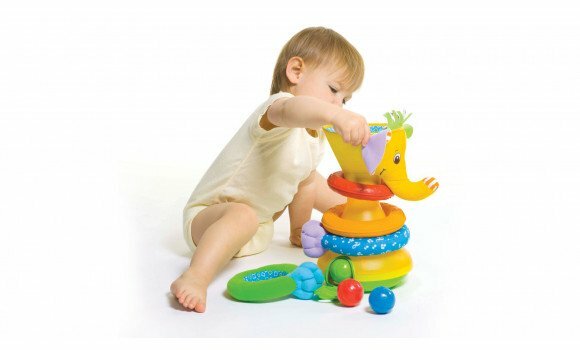 This unique elephant toy offers little ones a wide variety of experiences that provoke thinking processes and exploration: arranging the rings in the right order, dropping the balls, seeing them disappear in the elephant’s belly and then reappear again, etc. 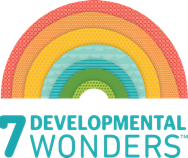 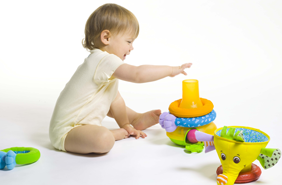 Dropping the balls, placing the rings and opening and closing the hatch – these are all actions that help baby practice fine motor skills. 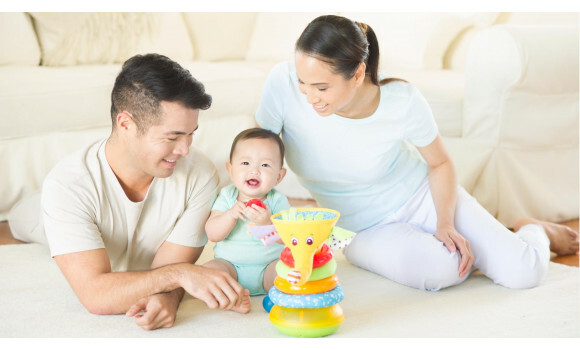 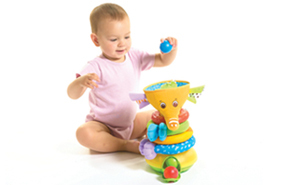 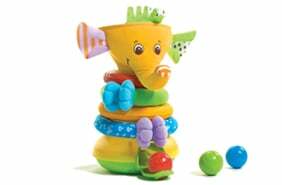 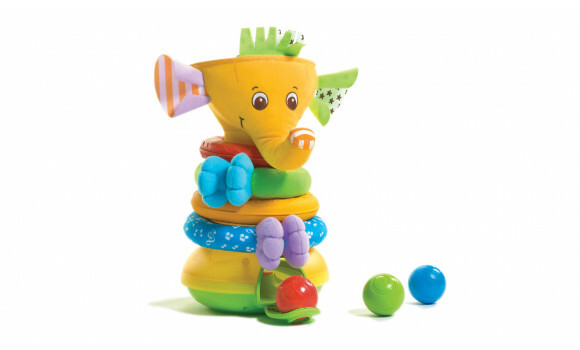 The elephant’s various features offer baby and toddler different options for open-ended play: creating a chain with the rings, rolling them around, removing and replacing the various parts of the toy.